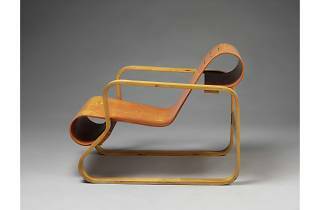 Alvar Aalto, armchair, Finland, 1930. Photograph. © Victoria and Albert Museum. The V&A’s new show is dedicated to the endlessly versatile material. Here are three things in the show that highlight its amazingness. Got wood? These strange structures were designed as shelters for ice skaters on the frozen Winnipeg river. They huddle together like cowled figures, and their plywood frames let them flex in the icy winds whipping off the plains. You can find them in a corner of the V&A’s pretty garden. No skating, sadly. Plywood is incredibly tough and light. Traditionally used to build boats, it was also used in the aeroplane industry. This WWII De Havilland Mosquito was built of ply, long after most planes were using metal alloys. Didn’t stop it being one of the war’s most robust fighter bombers, doing its bit for Blighty. Plywood was developed as an industrial material. Then those forward-looking European modernists realised that its delicate layers and easy curvability made it beautiful and perfect for furniture and other interior design applications. 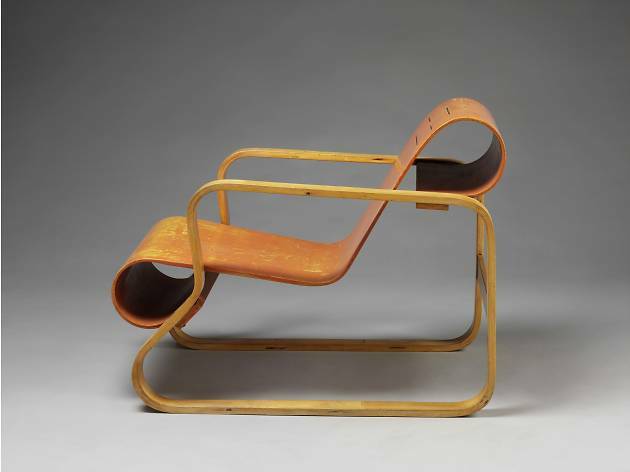 This wavy marvel is the iconic Short Chair by Marcel Breuer.